Caillou wants someone to play with, but everyone is busy. Then Caillou finds Gilbert! Caillou sleeps over at a friend's house for the first time. It's a good thing Teddy came along to keep him company. Caillou finds nothing to wear in his dresser drawer, but Daddy comes up with a fun solution. Caillou is disappointed that the circus won't be in town until tomorrow. Caillou goes to Mommy's office for the first time. 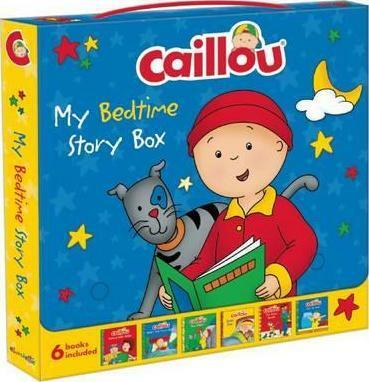 Caillou hears noises and can't fall asleep. Chouette Publishing first published Caillou books in 1990, and the character went on to become the well-loved hero of the popular television series. They are located in Montreal, Quebec. Eric Sevigny is a graphic artist and the illustrator of numerous Caillou books. He lives in Montreal, Quebec.